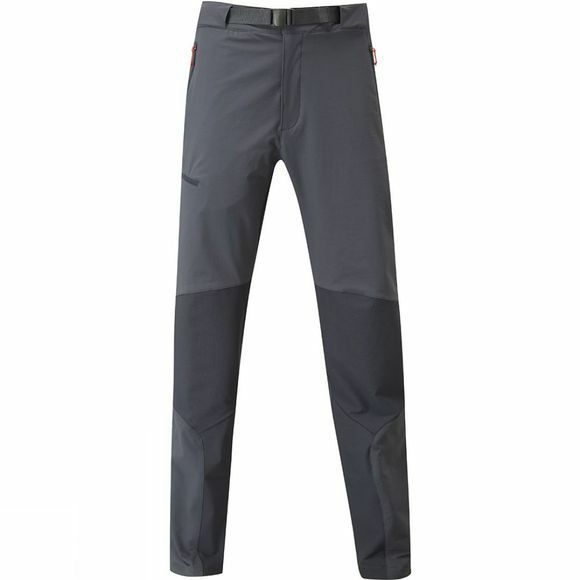 The Rab Men's Spire Pants are midweight Matrix softshell trousers with reinforced knees and insteps for technical mountain use. They fit close to the body but have a diamond gusset and articulated knees for ample freedom of movement, and a brushed tricot inner waistband for comfort. Webbing loops under each hem provide attachment points for under-boot cords.